Mark portrays Jesus as constantly on the move. The forward motion keeps the reader's mind looking ahead to the cross and the resurrection. 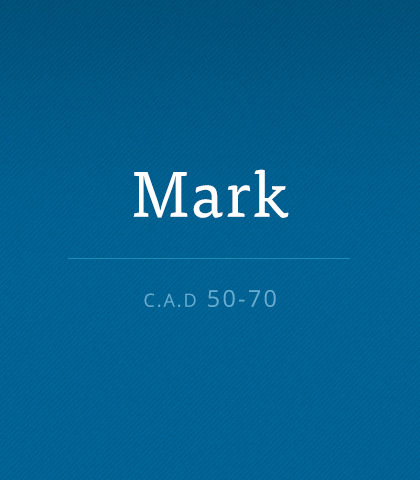 Read more about the book of Mark. Jesus was the master teacher. Against relentless and hostile opposition, and in spite of many who followed Him for all the wrong reasons, He spoke with wisdom and taught with skill. Among the methods He preferred to use, the parable was one of His favourites. By placing a familiar and simple word picture before His audience, Jesus was able to draw out profound analogies that have intrigued even the brightest minds for centuries. Indeed we have not only accommodated our lifestyles to mirror the world's attitudes, some have even developed a prosperity theology that promotes materialism and consumerism as a divine right. We have been learning how to study the Bible for ourselves, through observation, interpretation, correlation, and then application. We observe what a passage says, interpret what it means, correlate what it says elsewhere about the same subject, and then ultimately we apply it.